The Darts World Matchplay betting was blown wide open in a huge upset on the opening night at Blackpool’s Winter Gardens as the world number one and odds-on pre-tournament favourite, Michael van Gerwen was knocked out by countryman Jeffrey De Zwaan. 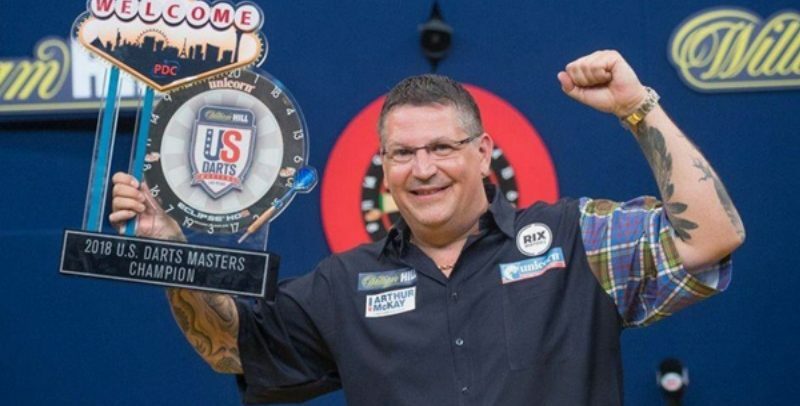 With 15 victories for 2018 so far, Mighty Mike had been aiming to win his third World Matchplay title , including the Darts Premier League and the Masters. Unfortunately for MVG, he fell one victory short after losing 10-6 to JDZ, who also beat MVG in the third round of the UK Open. As a result, every player has seen their odds slashed for glory, with Gary Anderson now Betway’s favourite at 11/4 while Rob Cross is 4/1 and Peter Wright now at 13/2. With the game tied at 6-6, 22-year-old De Zwaan — ranked 68 in the world — reeled off the final four legs to set the Winter Gardens atmosphere alight. In doing so, he set up a second round clash with Adrian ‘Jackpot’ Lewis, who eliminated James Wilson 10-8 earlier in the opening match of the night. A one-time finalist here, Lewis — 12/1 for the outright win — began strongly, taking the opening two legs before Wilson fought back to lead 7-3. Two-time world champion Lewis then dug deep to get back in the match and closed to within a leg of victory at 9-8 before landing a superb 116 finish and secure his place in the second round. Elsewhere, Premier League runner-up Michael SmithJonny Clayton 10-6 in the last match of the night. Bully Boy, fresh from claiming the Shanghai Darts Masters title, was averaging 10 points more than Clayton, but was only leading by 7 legs to 6 before winning the final three legs to set up an intriguing tie with Dave ‘Chizzy’ Chisnall in round two. Chizzy was the 10-4 winner in his match against Keegan Brown. On the Sunday, Gary Anderson and Rob Cross both reached the second round comfortably. The Matchplay title has always eluded The Flying Scotsman but after MVG’s elimination a night before, Anderson must surely now fancy his chances. He opened up against Stephen ‘Bullet’ Bunting, who was ahead 5-3 at one point, only for the two-time world champion to win six of the next seven legs to move to the brink of victory. The Bullet pulled a leg back but Anderson, who averaged 97.48, won the final leg to take the tie. He will now meet Raymond van Barneveld after beating Kyle Anderson 10-6 in Sunday’s final match. World champion Rob ‘Voltage’ Cross, the tournament’s second favourite, brushed aside Mervyn King 10-5, recording the highest average of the tournament so far with 98.58 to set up a second round clash with Darren Webster. Last week we told you to keep an eye on two-time quarter-finalist Mensur Suljovic. Well, he is still going strong and recorded his first win over Steve Beaton in nine attempts with a 10-6 victory. Betway have The Big Gentle priced at 12/1 for an outright tournament victory. One player not making it through to the second round is Gerwyn Price who was thrashed 10-3 by Joe Cullen, the highest ranked non-seeded player heading into the tournament. Cullen now meets 18/1 shot Daryl Gurney who is safely through following his 12-10 comeback victory over Steve West. Peter Wright nailed a 170 checkout as he swept aside Jelle Klaasen 10-5 in a match where Snakebite opened up a 6-1 lead but then hobbled over the finish line as his Dutch rival showed resistance. He now plays Kim Huybrechts on Wednesday night when James Wade will also be meeting Simon Whitlock, while Mensur Suljovic goes against Ian White and Rob Cross meets Darren Webster. It is also definitely worth taking note of the following price boost; Smith, Gurney, Lewis and Anderson all to win, now 4/1 from 3/1. 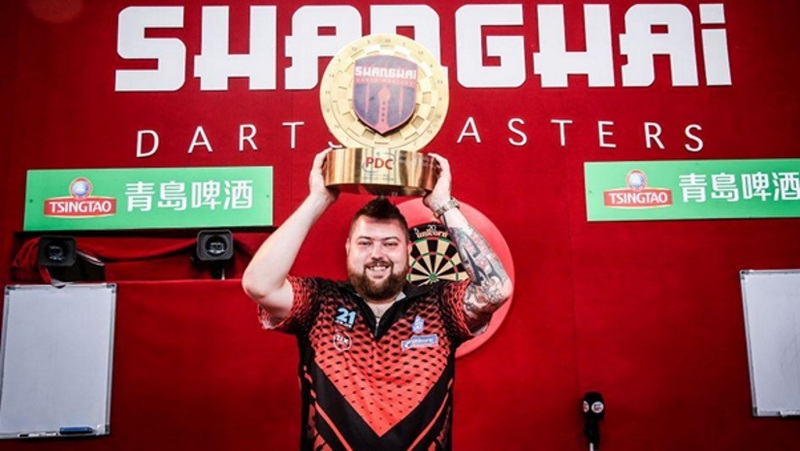 Michael Smith saw off final day competition from both Michael van Gerwen and Rob Cross to win the Shanghai Darts Masters and claim his first ever World Series of Darts title last weekend. Bully Boy seized upon an uncharacteristically dodgy performance from the Dutch world number one to bank an 8-4 victory in the semi-finals. The victory was preceded by a 8-5 quarter-final win over Royden Lam, who had himself sent Gary Anderson packing. It was his showing in the main event against World Champion Rob ‘Voltage’ Cross where he really shined, beating Cross 8-2. Smith started the match off strongly and before long, his good start had been rewarded with a 4-0 lead over his opponent, who was appearing in his second final in seven days. Cross lost in the US Masters final in Las Vegas a week prior. 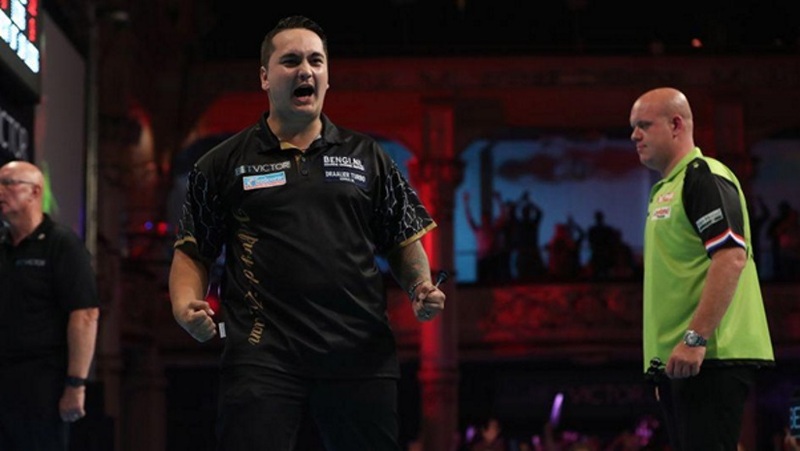 Cross closed the gap to within two legs after saving a break of throw, but Smith quickly re-established the gulf by landing a stunning 130 finish, before he nabbed the final two legs to seal the win. Bully Boy now heads to the World Matchplay high on confidence, as he looks to take down his first major darts event. This weekend, the world of darts gets really get rolling as the sport’s second biggest event, the World Matchplay, gets underway at The Winter Gardens in Blackpool. This event is second only in stature to the World Championship and last year, Phil ‘The Power’ Taylor won his last ever major televised tournament here. He almost followed his Blackpool victory with the World Championships but narrowly lost in the final that would have given him a fairy tale send-off from the game. The reigning champion is enjoying his retirement now and so obviously will not be in Blackpool to defend his crown, but he will be working for broadcasters Sky Sports in the commentary booth. Matchplay favours consistency above all else, allowing for far more drop shots than can be afforded in, say, the World Championships. Played without sets and purely for leg play, Matchplay is more than any other tourney about applying pressure on your opponent. It goes without saying that Michael Van Gerwen is the short priced, odds-on favourite, at 8/11 with Betway. Mighty Mike has, after all, contested three of the last four finals here, winning two of them. Once you factor in that the only player to beat him here in the last four years was the absent Phil Taylor, it doesn’t take long to see the reasoning behind his short price. Elsewhere, Rob Cross will fancy his side of the draw and is a reasonable 7/1 as the third seed. Most pleasingly for Voltage, he avoids Gary ‘The flying Scotsman’ Anderson, who he always struggles to beat. On his side of the draw, however, he is scheduled to come against the familiar faces of James Wade (28/1), Mensur Suljovic and the second seed Peter ‘Snakebite’ Wright, who is available at 9/1 with Betway. Further down the line up, Mensur Suljovic catches the eye, largely due to the format itself. I’m still not recommending you go against MVG, but keep an eye on The Big Gentle as the week progresses. Mensur, who opens against Steve Beaton, is both the current Champions League of Darts winner and a World Series event winner, which are also leg format events, after all. He is also a decent 25/1 for an outright win here for the bravest of you. For the almost brave, Betway are offering 11/10 for any new winner, which is not bad looking at the field. The first round is divided over the opening three days, which includes a double session on Sunday and a mouth-watering opening night that will be headlined by the all-Dutch clash between Michael van Gerwen and Jeffrey de Zwaan. One-time finalist Adrian Lewis faces James Wilson in his opening fixture, while Dave Chisnall takes on Keegan Brown. 2018 Premier League finalist and newly crowned Shanghai Masters winner Michael Smith, who can be backed at 28/1, plays Jonny Clayton. On Sunday, 2017 World Grand Prix champion Daryl Gurney (33/1) will play Steve West, while Rob Cross and two-time World Champion Gary Anderson, Betway’s second favourite at 7/1, both go in the evening session. Last year’s runner-up and bookie favourite Peter Wright opens up against Jelle Klaasen while James Wade, a former champion here, meets Jermaine Wattimena on Monday. From there, the second round is split across Tuesday and Wednesday, the quarter-finals over Thursday and Friday, with the semi-finals on Saturday before the final on Sunday. 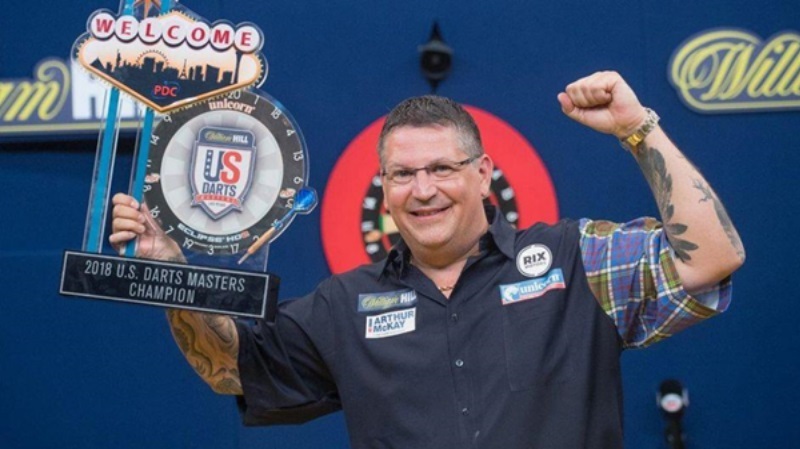 The Flying Scotsman, Gary Anderson, returned to his winning ways this past weekend after winning his sixth World Series of Darts crown in the US Darts Masters final against Rob Cross. Taking place on Saturday at the Mandalay Bay Casino & Resort in Las Vegas, the World number two produced a superb comeback to win 8-4 win over Cross. Anderson, a two-time world champion, showcased his undoubted class with a series of determined performances as he took the title, his first ever win in Vegas. The performance came as he cast aside DJ Sayre easily before moving on to the Canadian youngster Dawson Murschell, who he vanquished in a 8-5 quarter-final win, despite trailing 3-2 early on. He came up against James ‘The Machine’ Wade — who had earlier beat Michael van Gerwen 8-3 — in the semi-finals in a match that went all the way to a deciding leg despite Wade leading 6-2 at one point. Anderson hit back to level before edging 7-6 ahead only to miss double ten for a 140 checkout and with it, the win. He didn’t need to wait long, which followed shortly after he bagged a 75 to nick the win and move into the final. Once in the final, World champion Rob ‘Voltage’ Cross soon laid claim to a 3-0 lead, which turned into 4-1. Anderson, however, jumped on the opportunities Cross’ missed doubles presented him, and in a run of seven legs, he leveled and overtook his rival before storming to victory, with a stunning 164 checkout. Cross’ route to the final was also a tricky one, meeting both Michael Smith and Peter Wright on Saturday’s final day. Smith was dismissed for 8-6, with the pair each landing seven maximums, while Peter Wright was shot down 8-3 in the semi-finals. The eight PDC stars all now relocate to China ahead of the next World Series of Darts event, the Shanghai Darts Masters, on July 13-14. At the time of writing, no prices have been updated in the sportsbook of the online bookmakers Betway. The full draw for the biggest darts event of the summer has been made. The 2018 World Matchplay takes place at the Winter Gardens in Blackpool from July 21-29. Last year Phil Taylor marked his final appearance on his declared favourite stage with a 16th World Matchplay title, beating Michael van Gerwen in the process. This year, MVG is the favourite to overcome the 32-player field and claim the now-renamed Phil Taylor Trophy. That said, the likes of Rob Cross, Gary Anderson, Peter Wright and Michael Smith will all have something to say about that. Below we have listed the first round, with the 16 seeded players paired with the 16 qualifiers from the one-year ProTour Order of Merit.